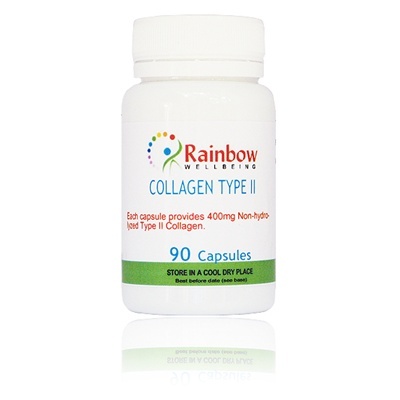 This collagen is derived from pure protein, extracted from 4 to 6 week old chicken sternum cartilage which yields healthy active cells and provides Collagen|Protein (min 65%), Lipids (min 2%), Chondroitin and Glucosamine (min 20%) and Hyaluronic Acid, all naturally occurring in food state for maximum absorbtion, and necessary components for the repair of cartilage. Unhydrolyzed Type II is the protein that holds and keeps our joints healthy and functional.This is an ideal substitute for people allergic to shellfish. 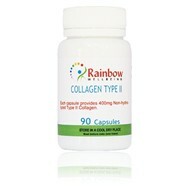 Each capsule provides 350mg of 100% Pure collagen type II. No other ingredient or additive of any kind.